Embark on a magical voyage to the enchanted sites of the ancient world, all associated with legends of mystery and power. From Stonehenge in England to the oracle of Apollo in Greece, Magical and Mystical Sites explores the most remarkable and significant places of antiquity -- temples, places of learning, monuments, ruins, and sacred groves -- and the legends that accompany them. Filled with details of historical data and local information, this book is a wonderful companion for both the armchair traveler and the actual visitor. 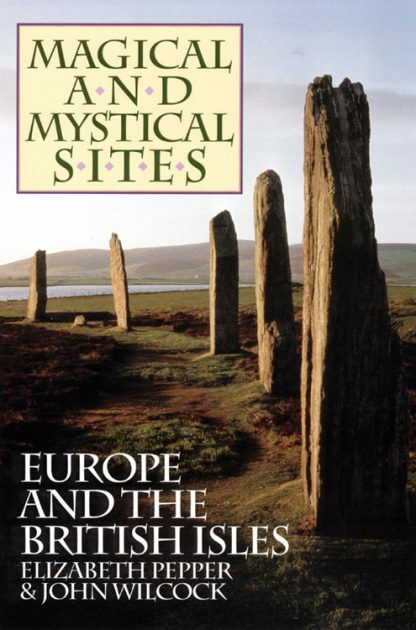 Magical and Mystical Sites explores the sacred and legendary places of the British Isles, France, Germany, Italy, Spain, Turkey, Greece, and more -- places like Delphi, Chartres, and Glastonbury. The discussions are highly readable yet consistently thorough, focusing not only on the lore and legends, but also covering archaeological discoveries, the nature of the old divinities, the relation of the sites to ancient culture and religion, and what these places are like today. Rounded out with excellent photographs and maps, Magical and Mystical Sites is a complete historical and practical guide to the sacred sites of Europe and the British Isles. Illustrated. Elizabeth Pepper was a well known and respected member of the occult community, as well as the editor of The Witches� Almanac from its founding in the 1970s until her death in 2005.